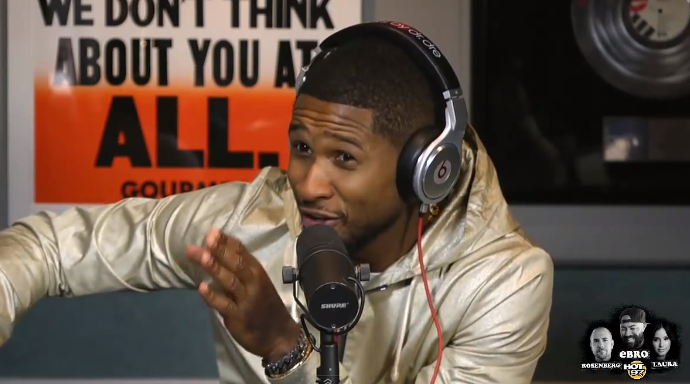 Usher recently stopped by Hot 97’s Ebro In The Morning with Laura Stylez and Rosenberg to discuss recent career affairs. With his eighth studio album UR coming in a few months, Usher opened up on why he’s hitting the road for The UR Experience Tour without a new project in retail, but more so a re-introduction to the fans commemorating 20 years of success in the music game. He goes into detail on the first time he met Michael Jackson, which the two developed a relationship that turned into a friendship and led to Ebro bringing up a similar and hilarious story from the past. Usher dismissed rumors of there being an alleged competition rift with his friend Chris Brown and mentioned helping lend a hand in the careers of Kanye West, Miguel, August Alsina bringing them on tour. Things also focused on his family life, LeBron James returning to Cleveland Cavaliers (part owner), and helping his artist Justin Bieber.